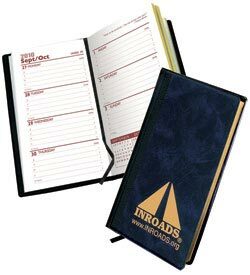 Personalized Hard Cover Gilded Planners, Pocket Size, Weekly. Promotional, Inexpensive. Burgundy, Blue, Green w/ Black Spine. Budget Prices in USA and Canada. 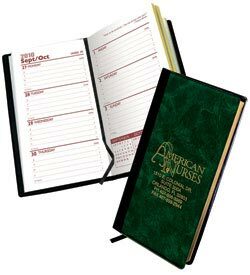 Inexpensive personalized Hard Cover Weekly Plannerwith Gilded pages.. We also supply blank (not imprinted) Weekly Planner at EQP (End Quantity Price). 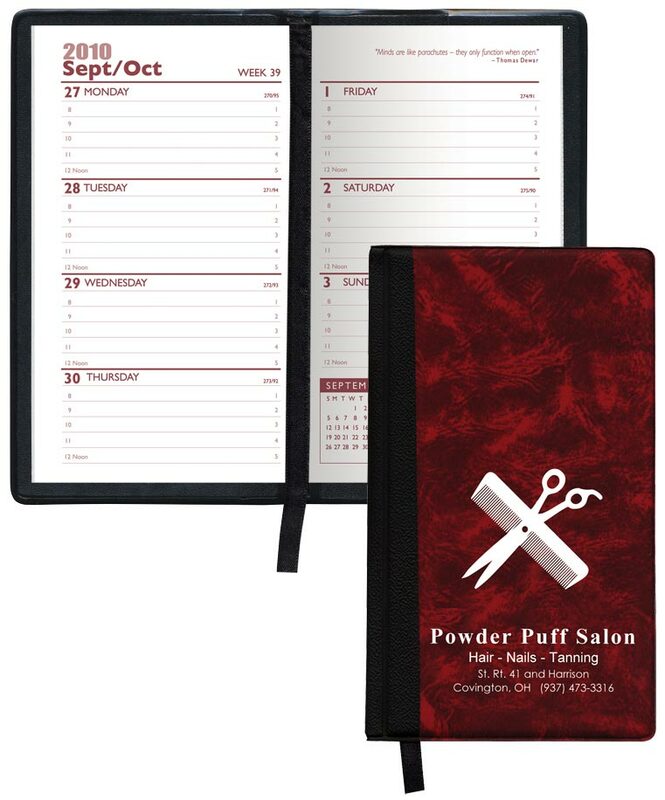 Lowest cost in USA and Canada for promotional Hard Cover Weekly Planners. American clients pay no taxes. Our Weekly Hard Cover Gilded Planners have a black ribbon divider to keep your place. This Planner also has a 128 page weekly insert that shows one week on a two page spread. The planner inside is printed in blue and runs 14 months from December through January. It includes pages for important phone numbers and dates as well as advance planning areas. Also included are metric conversion charts, a time zone map, area code table as well as an important holidays page. This is truely an upscale executive gift at a great price. Colors: Burgundy, Blue, Green with Black Spine. Product Weight: 22 lbs. per per box with 125 planners.